Sometimes it’s nice to think about the current state of things and reflect back on past predictions that actually turned out to come true. Recently, I was thinking of Christopher Locke’s The Cluetrain Manifesto, which helped shape my thinking about marketing and the Internet in a dramatic way and fueled my excitement and enthusiasm for my work when it came out 13 years ago. Locke, and the other authors of Cluetrain, argued that the real power of the Internet lay not in the technology, but in the profound changes it brings to the way people interact with business. They showed how we humans lost our way by accepting the command and control structure and format of modern business. Businesses had been engaged in a one-way conversation, with companies doing all the talking. The Internet enabled new conversations between businesses, employees and customers in a language that was open, authentic, natural and often funny. And what could be more human than conversations? The markets are conversations. Their members communicate in a language that is natural, open, honest, direct, funny, and often shocking. Whether explaining or complaining, joking or serious, the human voice is unmistakably genuine. It can’t be faked. What’s truly mind-blowing is that The Cluetrain Manifesto wasn’t written in the age of Facebook and Twitter. It was written in 2000. The pace of the changes the authors identified has been accelerating ever since. And social networks mean that markets continue to get smarter faster than most companies. This sea change continues to shape how companies market to their customers. Technology becomes more and more important each year. And, while the technologies are powerful and often game-changing, it’s never been about the technology itself. Rather it’s the human conversation and experience that the technology enables. Consumers have taken control of their purchase process. With websites, blogs, Facebook updates, online reviews and more, they use almost twice as many sources of information to make decisions as they did in the past. They know what they want to purchase, when they want to purchase it and resent any attempt to force-feed them messages. 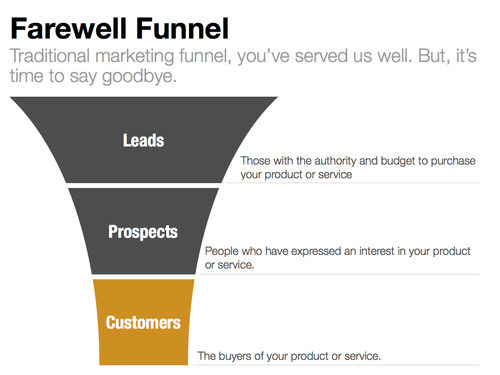 Because of this dramatic shift, the traditional marketing funnel paradigm is being replaced. It’s over. We had a good run together, but let’s face it: we’re just not good for each other anymore. And I’ll be honest, it’s you, not me. You’re just too linear and you don’t prioritize the people that matter to me, or care about the activities that I know will make me more efficient and relevant. After decades of good-enough, I’ve found someone who puts people first and recognizes how important it is to get to know them, putting loyalty over one-time encounters. I’ve found my soul mate of the future and I’m going all in. I’m sorry, but I’m better than this. 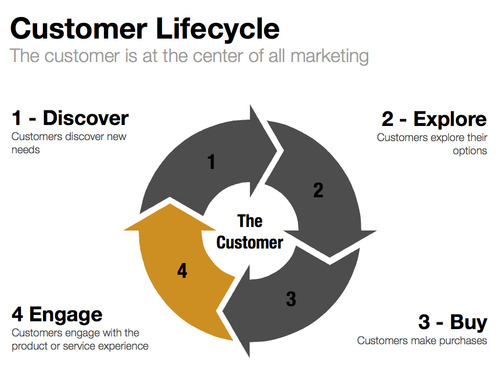 The new paradigm for marketing is the customer life cycle that places customer needs, not business needs, at the forefront. The customer life cycle considers the overall experience that a customer has with a brand and how that contributes to loyalty (or not). It also better reflects the ability of each individual to influence the purchase decisions of others to an unparalleled extent. As more and more of us interact with companies through digital channels, technology becomes an important enabler of effective marketing. The pace of mobile and tablet adoption, social media usage, widespread broadband Internet access, etc. means that digital life influences many more purchase decisions. The pace of change has accelerated dramatically in recent years. At one point in time, decisions about marketing technology were relatively straightforward. You picked a Customer Relationship Management (CRM) system. You built a website. You selected a Content Management System (CMS). Today, the rise of social media, powerful new marketing technology platforms, customer data and analytics and cloud-based technologies means that the choices are much more complex. And, almost all marketing is driven by software. The choices here are powerful yet complex. And, there is evidence that Chief Marketing Officers (CMOs) are making more and more of the technology decisions related to marketing. So, where are we headed with all of this? 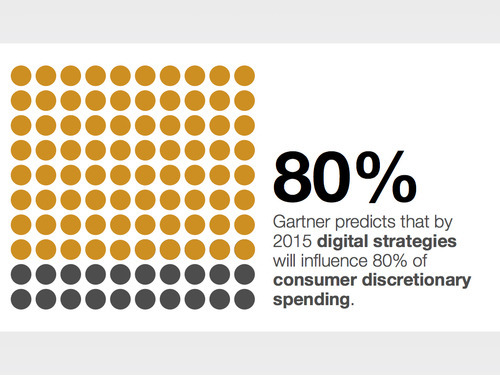 Customers are increasingly engaging with companies through digital channels. This changes the nature of their expectations as well as how they interact with companies. CEOs have higher and higher expectations for digital marketing and quantifiable impacts on sales. 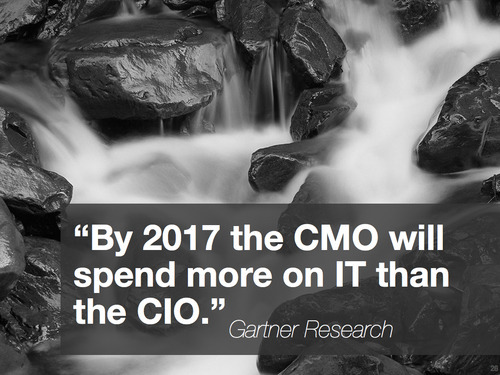 CMOs have greater input into and control over technology decisions. Marketing technology is evolving at a rapid pace and those technology decisions are complex. However, while it’s easy to get caught up in the pace of these changes, it’s important to remember the central premise of books like The Cluetrain Manifesto–that markets are really about human conversation and connection. While more and more marketing is driven by technology, perhaps the greatest need today is to humanize the conversations with customers. That’s the most pressing challenge facing marketers today.